The introduction of ride-sharing platforms such as Uber and Lyft have dramatically transformed the traditional licensed livery industry. However, their entry has not been without major controversy and debate on proper legal oversight, the impact on consumer safety, and overall benefit to the larger society. This IBIT report examines this tradeoff by first exploring the growth of the “sharing economy,” its benefits, and as its perceived threats to existing business models. 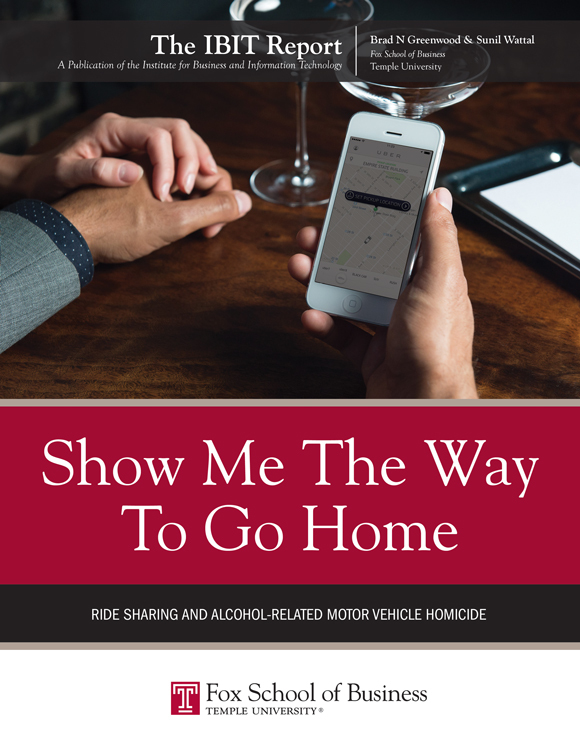 It then focuses on an important social benefit that can come from this new service: the extent to which Uber has led to reductions in alcohol-related motor vehicle deaths. The report shows that alcohol-related motor vehicle deaths fell by up to 5.6% in California after the introduction of Uber X. These results will interest public policy makes, regulators, the taxi industry, and others interested in the impact of the peer economy. © 2015 The IBIT Report, Institute for Business and Information Technology, Fox School of Business, Temple University, Philadelphia, PA 19122, USA. All rights reserved. ISSN 1938-1271. Jonathan A. Brassington, Founding Partner and CEO, LiquidHub Inc.